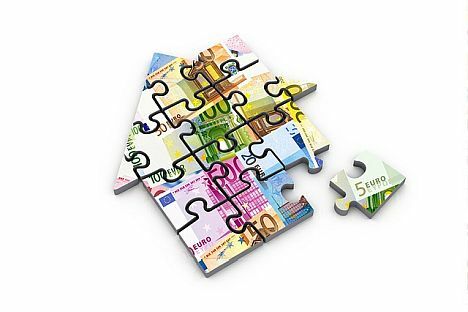 In 2018, housing costs on average constituted EUR 150 per household monthly. Over the year, housing costs grew by 8.8 %. Last year, households spent on average 13.4 % of their disposable income on housing costs. Households living in Pierīga on housing spent on average EUR 186 monthly, while in Riga EUR 173. In other regions these costs were lower: EUR 139 in Zemgale, EUR 125 in Kurzeme, EUR 124 in Vidzeme and EUR 98 monthly in Latgale. Housing costs cover the average expenditure on housing during both summer season with lower costs and heating season with higher costs, according to data from the Central Statistical Bureau. The costs in households renting accommodation (at market price, for reduced or administratively regulated rent) constituted on average EUR 162 monthly. Households residing in Riga have notably higher housing costs – EUR 241 monthly. In households consisting of couple with three or more children housing costs constituted 12.3 % of the disposable income thereof and those of couple with two children – 12.7 %. Housing costs in households consisting of one adult with children took 21.8 % of the household disposable income. Single persons aged under 64 spent 18.5 % of the disposable income on housing costs, whereas single elderly (aged over 65) spent notably higher share – 24.5 %. In 2018, only 24.4 % of households admitted that housing costs are not a burden at all, which is slightly more than in 2017 (20.2 %). In 47.6 % of the households it was somewhat a burden (46.9 % in 2017), however, in 28.0 % of the households it was a heavy burden (32.9 % in 2017). Last year, the largest share of households admitting that housing costs are a heavy burden was observed in Zemgale region – 36.4 %. The lowest share of such households was recorded in Riga and Kurzeme – 22.3 % and 23.5 %, respectively. The greatest difficulties to cover housing costs were observed in households consisting of single person aged over 65 and single parent families (one adult with children). Housing costs imposed a heavy burden to almost half (46.0 %) of the households consisting of elderly people aged over 65 and to 35.6 % of single-parent families. Among large families (couple with three and more children), 24.0 % of the households admitted that housing costs impose a heavy burden, which is notably higher share, compared to the couples with two children (16.7 %) and couples with one child (13.4 %). In 2018, 11.1 % of the households due to financial difficulties have been in arrears during the last 12 months. The greatest share of such households was recorded among single-parent families (20.3 %), couples with three and more children (19.7 %), and households consisting of single person aged under 64 (16.2 %). The smallest share of households that due to the financial difficulties have been in arrears during the last 12 months was observed among couples without children (6.3 %) and households consisting of single persons aged over 65 (6.5 %). The housing costs include expenditures for utility payments, maintenance, real estate tax, rent (only for tenants), mortgage (only for people paying mortgage for their dwelling), insurance for the dwelling and other costs to be made in order to live in the dwelling. Expenses covered by household to provide extra comfort (e.g. payments for telephone bills, cable TV, Internet, etc.) are not included.